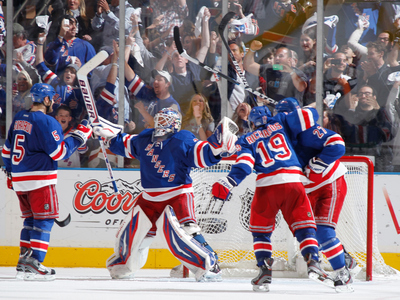 The 2011-2012 Conference Semifinals are finally in the books. This past week, we welcomed the final three teams into the Conference Finals. The Phoenix Coyotes took out the Nashville Predators in 5 games, the New Jersey Devils coasted through the Philadelphia Flyers in 5 games, and the New York Rangers went the distance with the Washington Capitals in a great seven-game series. Conference Final play starts tonight with the Los Angeles Kings hosting the Phoenix Coyotes. Even with three series wrapping up this week, there failed to be a single fight in any of the games so thus, Sunday Night Fights will be idle this week. But life moves on! And so does the world of sports. ﻿But since I'm already writing this post, I would like to take the opportunity to wish everyone a Happy Mother's Day. It is such a joy and blessing to experience and witness just the great love mothers around the world give to their children each and everyday. So here's a shoutout to all the mothers who sacrificed so much to raise their sons and daughters into the men and women they are today. Mothers are truly gifts and blessings from God so here's to you, mothers! 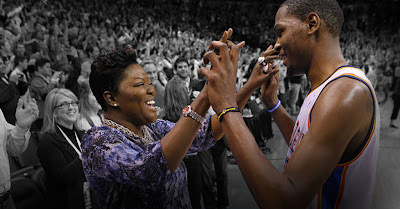 I'll leave with a short excerpt of Oklahoma City Thunder Forward Kevin Durant's mother, Wanda Pratt. I know this is a hockey column, but I still got great love for KD and his upbringing! "I want Kevin to become the man he would want to look up to." We have you, Wanda, for setting that example! Long live athletes and their mothers who guide them through life! Kevin Durant with his biggest fan!